When your business operates in highly regulated markets, it can be hard to assess how well your organisation’s control environment is working as an effective Governance, Risk and Compliance platform. 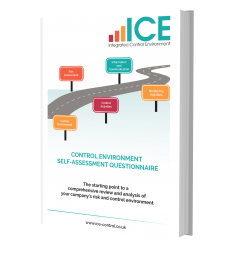 You can download our Control Environment Self-assessment Questionnaire as a starting point for a comprehensive review and analysis of your company’s risk and control environment. You can download the Control Environment Self-Assessment by completing the form on the right. If you would like a professional review of your control environment or would like to discuss your findings from this self-assessment, please get in touch.